As 2015 begins, it is natural to reflect on the vicissitudes over the past year. Did you know, reflecting over recent changes in regard to your insurance policies can save you money or save your bacon if a crisis occurs? Reviewing your insurance policies might sound like a tedious and time consuming job, but conducting a quick review can take less than an hour. Keep in mind, a homeowner’s insurance policy should cover the current cost to rebuild your home as well as replace your possessions. An article on Houselogic from the National Association of Realtors, reports that “replacement cost protection,” does not always cover additional structures on your property such as a pool or detached garage. Those additions may require supplementary coverage. Some home renovations such as an updated roof, the addition of hurricane shutters or impact windows, as well as modernizing the home’s electrical and plumbing can qualify you for a reduction to your premium. The installation of a monitored alarm system, smoke detectors, fire extinguishers, a sprinkler system, as well as the addition of deadbolt locks can also save you money. You might want additional coverage if you have acquired a valuable piece or art, antique furniture, jewelry or other costly belonging. Do you have an additional driver in your household or have you gotten married or divorced? If a driver on your auto insurance has increased traveling you might consider adding emergency roadside assistance to your policy. The installation of a safety or anti-theft device could save you money. If someone in your home has recently attended a driver’s education class or your vehicles have been accident free, most insurance companies will qualify you for a discount. Inquire about other new “good driver” programs your insurance company offers. A new car or teen driver could have you wanting to increase comprehensive and collision. Once you have paid your vehicle off you may want to consider dropping collision to save money. While the landlord may have home insurance covering the structure, your personal belongings are not covered unless you have a renter’s insurance policy. Renter’s insurance is affordable and covers appliances, electronics, clothes, shoes, jewelry, purses, furniture and entertainment equipment. A security system, smoke alarm, sprinkler system or deadbolt locks on exterior doors could make you eligible for a discount. Some counties require policy coverage for select breeds of pets, check with your insurance agent to see if your renter’s insurance policy covers your pet. You might want to consider purchasing additional boat insurance if you have recently purchased fishing or diving equipment. If you are towing your boat more often, make sure you have comprehensive and collision in case your boat is involved in an accident out of the water. If 2014 brought success and your assets have significantly increased, you might want to consider increasing the amount of your umbrella insurance. Auto insurance and homeowners insurance only provide basic liability coverage. Personal and financial obligations can also cause you to review and make changes to your umbrella policy. If you or your family has experienced any changes in your health care requirements, make sure they are reflected on your health insurance policy. Talk to your GreatFlorida Insurance agent to see if you are a member of affiliations that qualify you for a discount such as a firefighter or a member of AARP. Check for an overlap in insurance coverage. You do not need emergency roadside assistance coverage if you are a member of AAA. 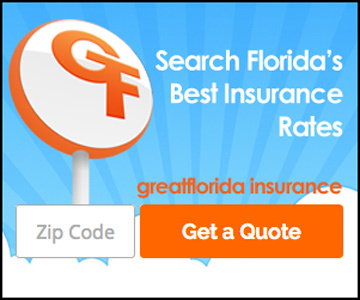 GreatFlorida Insurance is a network of over 100 independent insurance agents serving Florida. Our agents can help answer and questions you may have about changes to your current insurance policy and show you how to save while getting the policy that is just right for you. Should You Become a One Car Household?